Solar energy: what is it? Every day we see the sun rise and set. It gives us light and heat all day round. But do you know something? The sun gives us energy as well which we can harvest to light up our homes, run our machines and cook our food with. This is known as solar energy. You can even run cars on it and you will never have to worry about solar energy being finished. As long as the sun is there, so is solar energy. Plants commonly use solar energy to prepare their food by photosynthesis. We obtain solar energy from the sun and to make it usable convert it to other widely used forms like electrical and thermal (heat) energy. Since the sun is not there at night to give us energy, solar energy is stored in solar batteries which can be used later or in absence of directly obtained solar energy. Even cloudy days can benefit from the use of solar batteries. 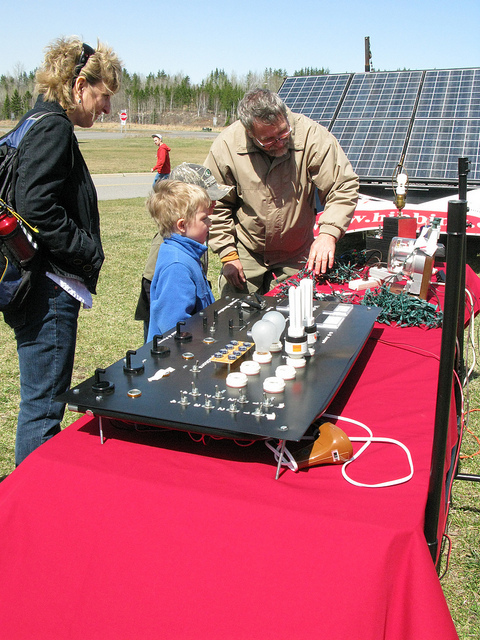 Many of you may have wondered about how the solar energy is actually obtained by us. Merely basking in the sun is not an option. 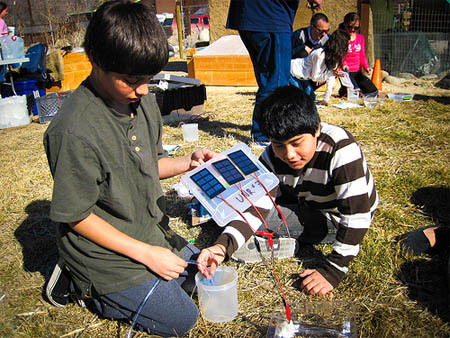 The devices used to trap the sun’s energy are called solar cells. Many such cells make up a solar panel. A solar panel absorbs the sunlight to convert it to usable electrical energy. Solar panels can be used by an individual to power his home as well in businesses, offices and factories. In the US, solar energy is fed into large networks or solar grids for distribution to different regions. Even cookers, vehicles, mobile phones are easily run on solar energy. For best possible use, solar panels are placed at locations which enjoy uninterrupted sunlight like rooftops, street lights and of course specially designed solar power plants.